What is the cost of living in Brussels? Known for the Grand Place, The Atomium and the Mannekin Pis, with its fine art, historic atmosphere, and abundance of beer, chocolates and waffles, Brussels is one of the top European destinations for both tourists and expats, especially for culture and art enthusiasts. Brussels, is also home to the headquarters of the European Union and the North Atlantic Treaty Organisation, which adds a serious touch to its occasionally rather comic reputation. Indeed, the city is known as the birthplace of Tintin and fans should never miss a trip to the Belgian Comic Strip Centre where life-size replicas of the character may be found for as low as EUR 8.00! According to Statistics Belgium, an initiative by the Belgian Federal Public Service Economy, about 1.12 million foreign nationals reside in the country, the bulk of whom live in Brussels. Of these, around 33,000 are UK citizens, making it the 20th most popular destination for British nationals to live in, based on a research conducted by the Institute for Public Policy Research, a think tank based in the UK. Compared to the cost of living in Dubai and Doha, Brussels is more expensive, ranking 56th in Mercer’s Cost of Living Survey for 2014, which is 13 places higher than its place last year. For this reason, we dedicate the third instalment of our Cost of Living Guide to this trendy European city. As in many other foreign countries, housing is a big financial burden for expats. Price ultimately depends on the location, size, quality and proximity of the apartment to the city centre, where most of the facilities and services are. Some neighbourhoods, such as Uccle, Woluwe Saint-Pierre and Ixelle, are more expensive than others. Ixelle is popular for its trendy, café culture feel, whilst Uccle and Woluwe Saint-Pierre are popular for expats who seek a more family-friendly location. On average, a studio apartment within the city centre costs around EUR 700 per month, but there are smaller apartments or rooms in less expensive areas, like St. Gilles, that you can rent for as little as EUR 400. However, if you want a more comfortable kind of living and can afford to spend a little bit more, you can rent a 1-bedroom to 2-bedroom apartment for EUR 1,000, or a 3-bedroom apartment for EUR 1,500. A 2-bedroom single-family home in the city centre can cost between EUR 1.5 to 2.5 million. Before agreeing to any leasing contract, it's worth asking the proprietor how long the apartment has been vacant. If the answer is "more than six months", you can negotiate more on price. If you are ready to settle in Belgium and are thinking of buying a property in Brussels, the first thing to do is hire a real estate agent to take care of the administrative processes and to share with you their expertise on property trends. It is also important to develop your own expertise, to avoid unnecessary costs and to make you a less likely victim of real estate predators. A private sales agreement or compromis is the beginning of the formal process of purchasing a property. Once this agreement has been made, you have to make a deposit on top of the property registration fees, which can be as much as 12.5% of the property cost. Although utility costs are expensive in Belgium, it is considered cheaper than many others countries in the EU. Several factors affect the monthly utility costs in Brussels: number of occupants, season and the type of housing to name a few. A single expat living in a 1-bedroom apartment may spend around EUR 100 per month for electricity, water and fuel for heating, whilst a family of four living in a large house may spend as much as EUR 300 per month. You may also want to check with your landlord if he stores tanks of fuel in the basement for heating during winter months (December to February). If not, you may need to source your own at greater expense. The cost of communications in Brussels is, however, more expensive than in its EU neighbours. Depending on your needs, you can get a phone line for EUR 20 per month, while an 8 Mbps internet and cable service may cost EUR 30 and EUR 20, respectively. Belgacom, a telecommunications company partially-owned by the Belgian government, provides mobile and internet services and is the most popular telecom provider in the country. Being a European expat in Brussels may be similar for food costs as if you were at home. Supermarkets, such as Carrefour, are easy to find and food costs are relatively cheaper than, if not almost the same as, other European cities. Of course, your weekly food expenses will largely depend on your diet and choices! A single expat may spend around EUR 50 on weekly groceries, whilst a family of four may require EUR 100 per week. For our standard of measurement, we will once again make use of The Economist’s Big Mac and Starbucks Indices to compare purchasing power in different cities. A Big Mac in Brussels costs EUR 3.7, which is more expensive than a Big Mac in London (EUR 2.89), Dubai (EUR 2.80) and Doha (EUR 2.9). Equally, a Grande Starbucks Latte in Brussels costs EUR 4.4, which is again more than in London (EUR 3.00), Dubai (EUR 2.80) and Doha (EUR 3.7). It is common for expats to drive in Brussels, but public transport is effective and affordable too. Commuting by public transport might be a good idea - eliminating the need to use expensive and limited parking spaces. The usual modes of public transport in Brussels are the metro, bus and tram lines. A train, tram or bus ride can cost EUR 2.00 or less, and you can save more if you choose to be a regular commuter and get a multiple ride card. It's worth noting that taxis have a minimum tariff rate of EUR 2.50, with a rate of EUR 1.80 per kilometre. Unlike in the Middle East for example, where water is more expensive than oil, Brussels’ petrol prices can be very expensive. A litre of petrol can easily cost EUR 1.80, which is comparable to UK prices but almost five times higher than petrol prices in Dubai, and eight times more than in Doha. A Honda Civic purchased in Brussels is slightly more expensive than in Dubai and Doha, with prices averaging on EUR 17,000. However, this is much cheaper compared with UK costs, which can reach up to EUR 28,000. Luxury cars in Brussels, like the Porsche Carrera S, cost just about the same as in other European countries but are more expensive than in Dubai and Doha. 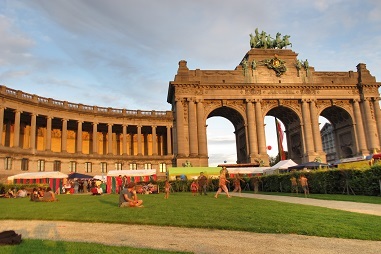 As Brussels serves as the headquarters for several international institutions, it hosts a lot of international schools, whilst state schools are also open to expat children. Some international schools use the British curriculum, such as the British International School of Brussels, whilst others follow the French, German and Dutch curricula. There are also Christian (including Anglican) schools, but they can be more expensive. Enrolling your children into local state schools can be very advantageous, as this allows full immersion into Belgian culture. Although they do not offer as many extracurricular activities as the international schools do, they offer a variety of activities in the arts, and some specialised art schools are even subsidised by the government. On the other hand, the international schools offer a lot of extracurricular activities and your children are likely to find others who speak their own language. They can, however, be more expensive than state schools. For example, tuition fees in The British International School of Brussels can cost as much as EUR 17,000 per year, whilst Brussels’ English Primary School, which offers the International Primary Curriculum, can cost as much as EUR 20,000 per year. Belgium has very high healthcare standards; it is financed by social security contributions and private health insurance. In Belgium, everyone, both locals and foreign nationals, is required to register with a social security organisation and acquire a Social Identity Card in order to receive healthcare. This card, which is required for all medical visits, allows the cardholder’s dependents, such as the spouse and children, to be covered in the same healthcare plan. Cardholders are required to pay for social security contributions which depends on income; contributions are directly deducted from salary. Moreover, cardholders may have to bear some of the costs of their medical expenses – those costs not covered by their healthcare plan. This is known as their ‘personal share’ or out-of-pocket contribution. Although patients may be able to recover all their medical expenses from their healthcare provider, some pay for more or less 10% of the costs. This is why some expats also seek additional healthcare plans for costs not covered by their existing healthcare schemes. Fanatics will feast their thirst for history and art with museums and orchestras located around the city, such as the Royal Museums of Fine Arts of Belgium (EUR 8.00), the Atomium (EUR 11.00), and the Brussels Philharmonic (EUR 30.00 on average), among others. Furthermore, Brussels is just like any other European city with abundant nightlife to captivate everyone’s interest. There are three things that are incredibly cheap in the city: beer, waffles and chocolates. Bargains are also common if you know where to look and most are food-inspired. As usual, entertainment costs generally depend on how you want to spend your time and where you would like to spend it. A ticket to the cinema can cost EUR 10.00 whilst some cinemas offer much cheaper tickets for less popular films, such as the Arenberg Cinema. A basic dinner for two can easily cost EUR 30, but family-run restaurants along the streets of the city can be very cheap and still offer really nice specialities. When dining out, you might also want to check the food prices, as VAT can be as much as 12% of your total bill. It is also important to consider other factors before making the decision to move to Brussels. Unlike Dubai and Doha, expats may have to receive salary deductions for income tax. 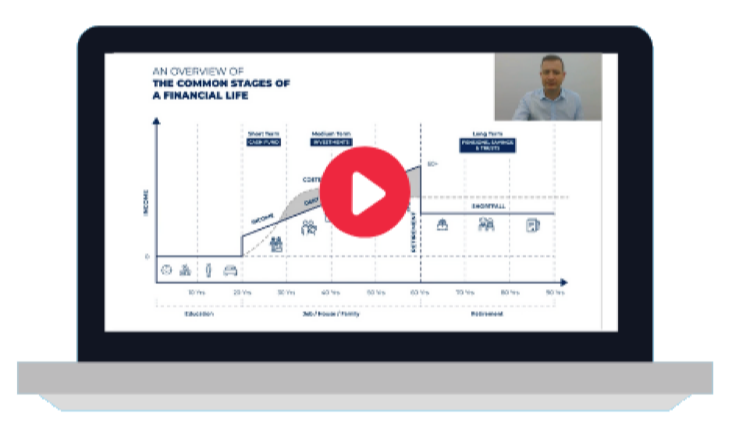 This is based on how much you are earning and can be as much as 50% if you fall in the bracket of individuals with the highest income (exceeding EUR 34,330 net per year). On the upside, some employers provide a 13th month pay to their employees as annual bonus. There is also a special tax regime which expats may take advantage of once they have fulfilled the necessary, but tough, conditions. For example, those employed by an international institution or a science research centre and are on temporary status, may be able to qualify. Once granted expatriate status, they can be considered to be non-residents and may not be required to pay income tax. Before making the big move, it is important to assess your goals and lifestyle, as well as to evaluate the pros and cons of moving to the city. It's best to employ an expert to make life easier for you, but it is also necessary that you gain your own expertise. After all, this is not just about your finances but also about your own and your family’s lifestyle.